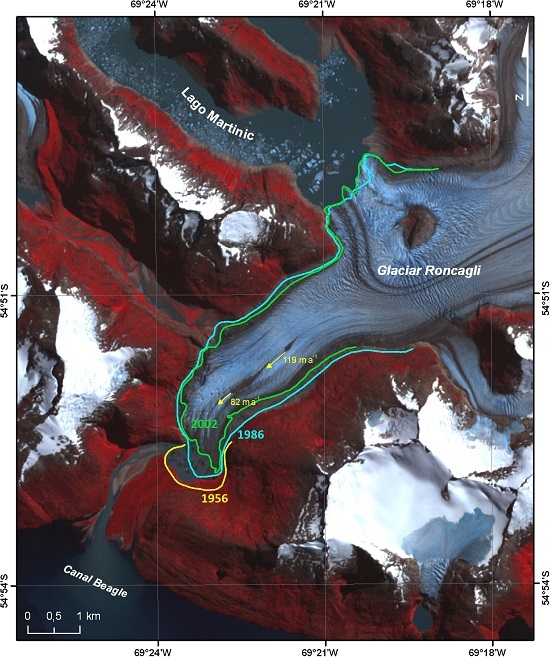 Bown F, Rivera A, Zenteno P, Bravo C, Cawkwell F (2014): "First glacier inventory and recent glacier variation on Isla Grande de Tierra del Fuego and adjacent islands in Southern Chile. ", Global Land Ice Measurements from Space, Springer-Praxis, ISBN: 978-3540798170, chapter 28, 661-674. Mercer, J.H., 1967. 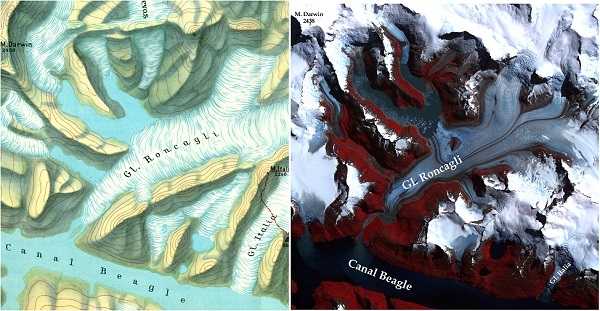 Southern Hemisphere Glacier Atlas. Technical report 67-76-ES, Earth 2037 Science laboratory, US Army Natick Lab., Mass., 325 pp.